Diwali is fast approaching and it’s time when people start planning for a quintessential festive weekend. Youngsters especially, would like to celebrate their Diwali with popcorn in hand, watching a perfect commercial entertainer of their favorite star. We have two super-biggies releasing for this Diwali alongside few sparkling small timers. Mr. Perfectionist Kamal Haasan will be having a Diwali release after quite a long time, with Thoongavanam. His last Diwali release was 14 years back when Aalavandhan released. On the other hand Thala Ajith is gunned up with a pakka masala dish, Vedalam, cooked by commercial specialist director Siruthai Siva and peppered with the music of ‘Rockstar’ Anirudh. With the looks of it, we might have both the films releasing on the same date. It is official that Thoongavanam will be hitting the screens on the 10th of November and it is rumored that Vedalam might also release on the same day. When was the last time Kamal Haasan and Ajith Kumar had releases on the same date? 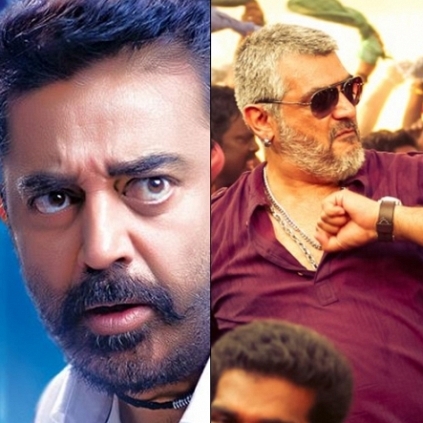 On three occasions in the past, Kamal and Ajith films have released together. Thala 56 To Release On November 5 And Thoongavanam On November 6? People looking for online information on Thoongavanam, Vedalam will find this news story useful.